Tab Hunter was America's Boy Next Door in the 1950s, attracting a large female following who were captivated by his good looks and charm. As his career went from strength to strength it seemed nothing could stop him, unless of course the secret about his sexuality got out. 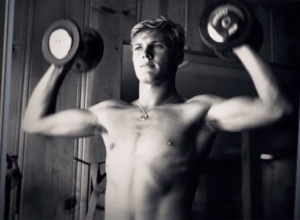 In Tab Hunter Confidential we will meet, for the first time the real Tab Hunter as he shares his true story about being a gay actor in Hollywood back when it would have ended your career and maybe even landed you in jail. From starring in films opposite Natalie Wood in the 1950s to kissing Divine in John Water's Polyester in the 1980s, Tab Hunter has had a rollercoaster ride like no other in Hollywood and now he's happy, healthy and ready to tell his tale of success and survival. With an appropriate explosion of humour and colour, this documentary traces the life of a fiercely individualistic actor, digging beneath the surface to explore both his origins and his legacy. And frankly, it's about time someone documented the iconic cross-dressing performer Divine, who died at age 42 in 1988, just as his career was leaping into the mainstream. The fact is that this man completely changed music, theatre and cinema. Born in Baltimore, Glenn Milstead played dress-up as a child and was routinely beaten up in school. He could never pass as a normal kid, so he never tried. 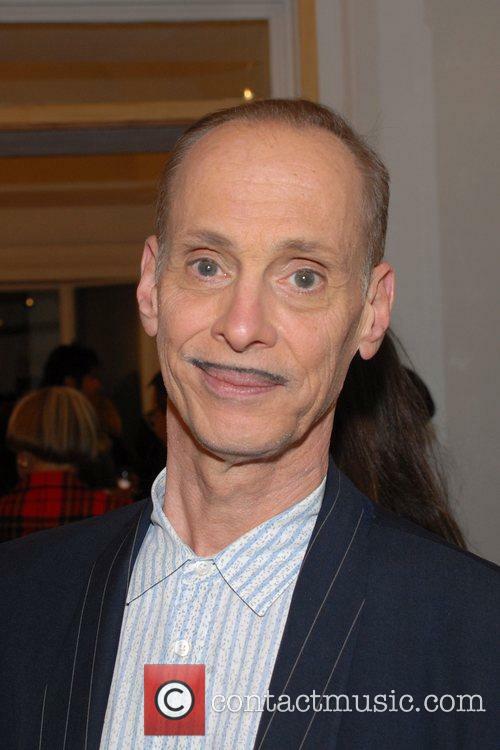 Fortunately, at 17 he met John Waters and found a group of people who were outcasts like him. 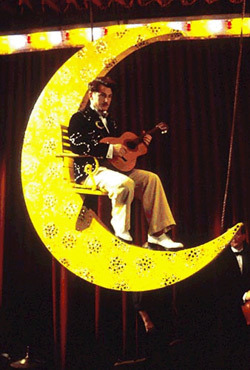 Waters renamed him Divine for his film Roman Candles, and the name stuck. 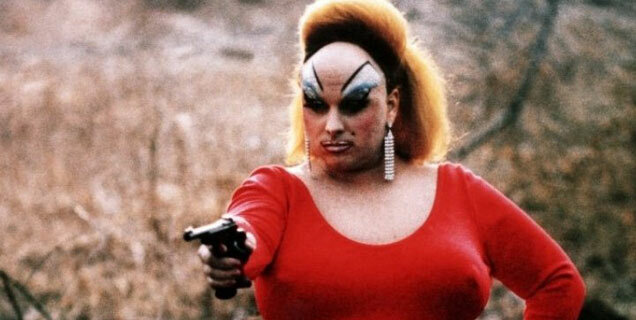 Divine spent time in San Francisco developing the character while performing with the legendary Cockettes, then took the New York stage by storm and launched an international recording career., He also continued to rise in the ranks of cinema actors with performances in Waters' classics Pink Flamingoes, Female Trouble, Polyester and the award-winning Hairspray, which crossed-over into mainstream success and led to a non-drag role as Uncle Otto in the hit TV sitcom Married... With Children. He died of heart failure in his sleep the night before taping his first episode. 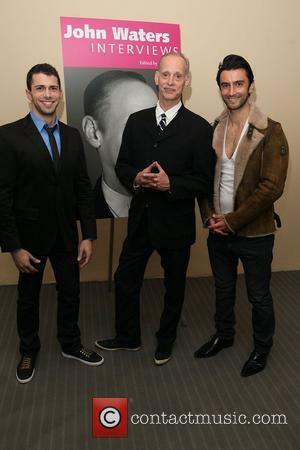 Filmmaker Jeffrey Schwarz (whose previous film Vito documented the life of gay-rights activist Vito Russo) gives the movie a lively pace, as a wide range of colourful people talk about their experiences with Divine through the years, including his mother Frances Milstead who reunited with her son later in life. There's also extensive footage of Divine talking about himself in interviews he gave around the world throughout his career. Combined with extensive clips, backstage video and personal photographs, the film is a remarkably complex portrait of a talented artist who was excessive in everything: food, drugs and love. But he was also fiercely disciplined when it came to his work. 'Beautiful Creatures' star Zoey Deutch was among the star arrivals at the 2014 CFDA (Council of Fashion Designers of America) Fashion Awards held at Alice Tully Hall in New York City. She wore a stunning multi tone, blue, A-line minidress with strappy black stilettos. There's an element of parody to this jet-black comedy, but the film is so creepy that it gets under our skin. And even if it feels a bit ridiculous, the story challenges us with an exploration of bullying and social pressure that's deeply unsettling. All while writer-director Bates gleefully keeps us off-balance with a shifting mix of broad comedy and growing horror. It's also a deranged coming-of-age tale about Pauline (McCord), a teen outcast who delusionally believes that she is destined to be a great surgeon. This is mainly because she wants to cure her sister Grace (Winter) of cystic fibrosis. So she teaches herself surgical skills by piercing her nose, among other things. She also propositions a hot classmate (Sumpter) about losing her virginity, partly because this is in her master plan and partly to annoy his mean-girl girlfriend (McCook), and he doesn't refuse. Meanwhile, her mother (Lords) makes it clear that she doesn't like Pauline, treating her husband (Bart) like dirt while doting on Grace. The film's opening scenes are like a Todd Solondz movie, with grotesque characters saying staggeringly rude things to each other. And as events unfold, each person develops some complexity that makes them intriguing. It also helps that scenes are packed with lively side characters played by starry veterans. McDowell, Matlin and Wise play school employees who are baffled by Pauline's refusal to toe the line. And Waters is dryly hilarious as the sardonic priest Pauline is forced to see for counselling. 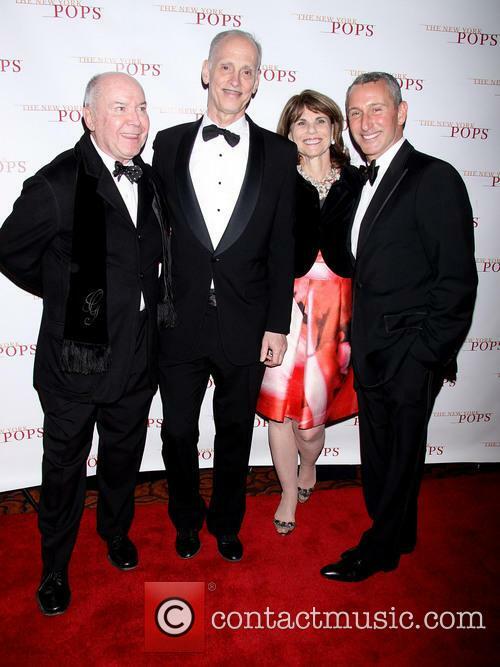 Ballroom dancer Julianne Hough, fashion designer and CFDA president Diane Von Furstenberg, actress Busy Philipps and filmmaker John Waters were among arrivals at the 2012 Cfda Fashion Awards at the Alice Tully Hall. 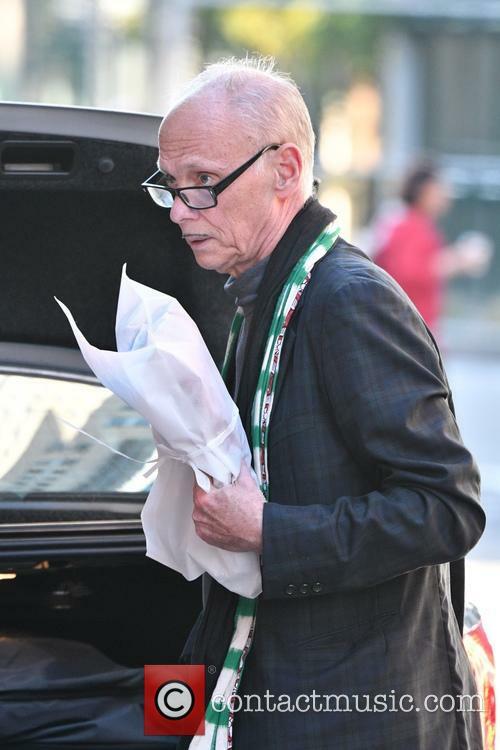 John Waters lives in two worlds: the trashy and aggressively weird neighborhoods of his native Baltimore and the artsy society circles of New York City. Pecker is his hilarious take on what happens when those two very different cultures collide. 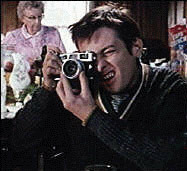 Pecker (Edward Furlong) is a happy-go-lucky teen who loves to carry his camera around town taking quick snapshots of the types of characters who have been populating Waters's films since the '70s. 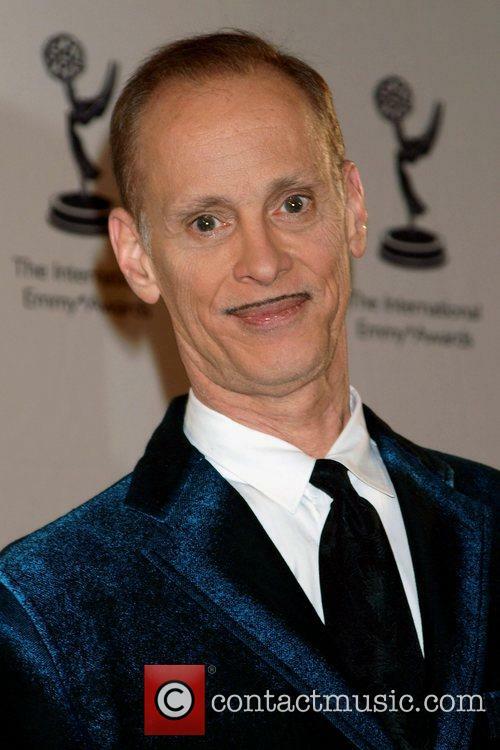 He even lives with some of them: his thrift-shop owning parents (Mary Kay Place and Mark Joy); his foul-mouthed sister Tina (Martha Plimpton), who works as a sassy bartender at the local gay bar; his eight-year-old sister, the hopelessly sugar-addicted Little Chrissy (Lauren Hulsey); and his totally wacky grandmother Memama (Jean Schertler), who cooks and sells pit beef sandwiches on the front lawn when she isn't distracted by her statue of the Virgin Mary, which speaks to her saying, "Full of grace! Full of grace!" Memama doesn't realize that she's actually the one saying it. 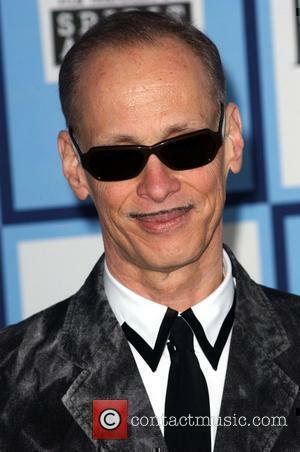 John Waters first went mainstream with the 1988 classic Hairspray and then defied midnight-movie fans who complained he'd gone all lame and mainstream by daring to follow it up with a full-on musical comedy. Set in late-'50s Baltimore, Cry-Baby is his delightful tribute to Elvis, juvenile delinquency, and rockabilly music. How can you resist Johnny Depp twitching and crooning like The King? On the right side of the tracks lives the virginal Allison (Amy Locane), all blond hair and crinoline skirts. Her grandmother, Mrs. Vernon-Williams, runs a charm school and is the local dictator of good taste and deportment. Her idea of fun is to host talent shows where "square" teens sing "Mr. Sandman" in barbershop harmony. Now this is sick. Originally rated X (and now officially "not rated"), John Waters' Desperate Living is an exercise in the truly disgusting and not a lot more than that. After its elegant opening credits -- in which a real rat is served cooked on fine china and picked-at by an unseen diner while the actors' names are displayed -- the movie degenerates (yes, even further!) into the gross-out nether reaches of cinema. We are introduced to the insane, rich housewife Peggy Gravel (Mink Stole), who, with the aid of her enormous maid Grizelda (Jean Hill), kills Peggy's hapless husband. The two go on the run, ending up in a bizarre "town" called Mortville, ruled over by a fat "queen" named Carlotta (Waters regular Edith Massey) and populated with the largely naked, mostly lesbian women and men dressed in leather pants. Every time Woody Allen miscalculates and makes a movie as weak as last year's "Celebrity," I start to wonder if he's down for the count. I should know better. Once again, Allen has come roaring back with "Sweet and Lowdown," a buoyant, saucy and deftly original faux documentary that purports to be about a fictitious jazz guitar legend named Emmett Ray (Sean Penn). According to the old-timer radio jocks and jazz historians (writer-director Allen among them) that populate the movie's modern interview interludes, Emmett was a neurotic (no, really? 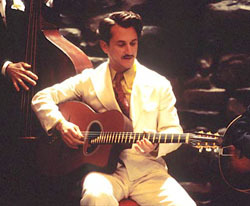 ), weasely egoist of a 1930s lounge lizard louse, whose curt and cocky facade barely masked a belly full of wild insecurities, the main one being that he was the world's second greatest jazz guitarist.